I hadn't tried this mascara before, but I've totally fallen in love with it, it pretty much does what it says on the tin (or in this case box!). I plan on buying a full-size version when I get my Benefit makeover at the end of June, but for now the trial size will do, and it's a perfect fit for my handbag! OMG! I cannot get enough of this product. I'd heard of Liz Earle before but hadn't tried any products. But this is worth breaking your Liz Earle virginity for! You simply apply the cleanser to your face, then run the cloth under a hot tap and rub it all over your face to remove your makeup...and boy does it work! I couldn't believe how fresh my skin looked afterwards too! I've been using it pretty much every day and my skin feels so much smoother, it's unbelievable! Thumbs up to Liz Earle, will definitely be repurchasing this! I'm always impressed when I get a full size product in my Birchbox, so was really pleased to receive this beautiful nail polish. The directions were to start with a base coat and follow with two coats of Soigne, followed by a top coat...and you definitely have to because it chips like crazy! I finished mine off with a top coat of Butter London glitter nail Lacquer, and without that I don't think it would've lasted a day! I got a really pretty shade which is great for free, but I don't think I'll be repurchasing this, I've had Rimmel polishes that have lasted much longer, for half of the price! Being a worshipper of all things Lush, I have to confess I've not yet tried this product so it would be unfair to judge it without fair trial. It claims to beat that sluggish morning feeling, which I have in spades this morning from my 5k run yesterday, so I'm going to pop it in my shower today and give it a separate review (I'll post back here when it's done!). All I can say for now is that it smells devine! My favourite products this month were definitely the shampoo and conditioner, the Liz Earle cleanser and the Benefit mascara. I'm definitely going to buy the mascara and the cleanser sometime in the near future. On the whole, to get a box for £12.95 a month and receive 3 products you absolutely love, but to want to try all five, is a testament to how good Birchbox really is, so if you've been sitting on the fence about ordering a Birchbox subscription I'd really recommend it. You can purchase all of the products in this post from the Birchbox website here. 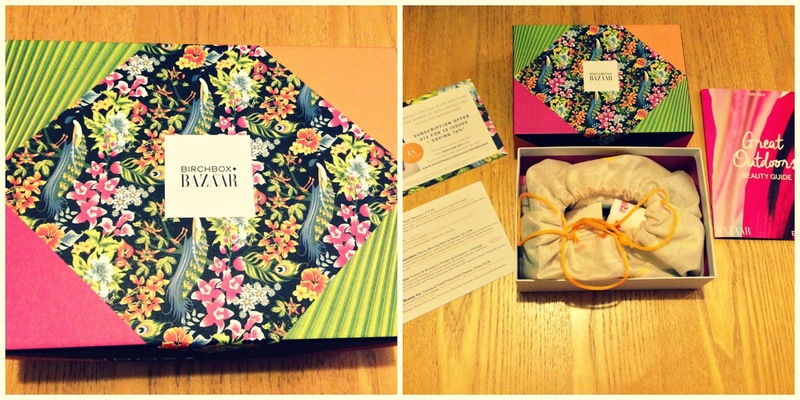 Do you receive Birchbox each month? What were your favourites from the May box?